Most people understand the benefits of Chiropractic Care for lower back pain. Did you know that nearly 25% of Dr. Jones' patients are currently under treatment for chronic headaches and migraines? Please take a moment to learn how Chiropractic Care can eliminate chronic headaches and migraines for good. Typically headaches are a tough condition to properly diagnose and treat. Generally, chronic headaches become classified as Migraines and are treated with medication. Medication rarely resolves the problem but simply temporarily masks the pain until the next episode occurs. Recent studies have shown a tremendous amount of support for spinal manipulation (Cervical Spine) as a primary treatment tool for certain types of headaches. Nearly 80% of headaches are Cervicogenic in nature. This means they are coming from the neck. When the bones of the Cervical Spine (Neck) become misaligned from accidents or repetitive stress (computer work) they begin to place a considerable amount of pressure on the muscles in and around the spine. These muscles become fatigued and with continued abuse, neck stiffness begins to refer pain into the head as a headache. 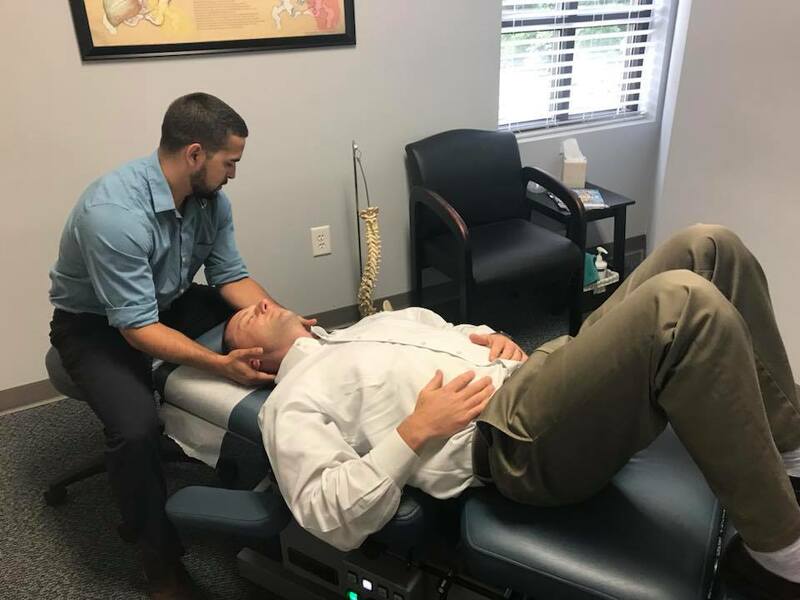 Dr. Jones takes a specific approach to classify headache patients in order to determine if they will benefit from Chiropractic Care. Simple and specific neck adjustments may be your answer to a pain free life! "I was having a really bad headache in the back of my neck on my left side. It was so bad it would make me feel sick to my stomach. I had the headache daily for about 4 months. After visiting Dr. Kyle Jones for a little over a month my headache started gradually going away. I have been headache free for at least 2 weeks now. I have and will continue to recommend Dr. Kyle Jones to all of my family and friends." Let our doctors determine if you will benefit from Chiropractic Care. Call today for an appointment. We are here to help.